Ideal package that gives great room coverage and the flexibility of 3 Pan/Tilt/Zoom HD cameras – all controlled effectively from the operations table. 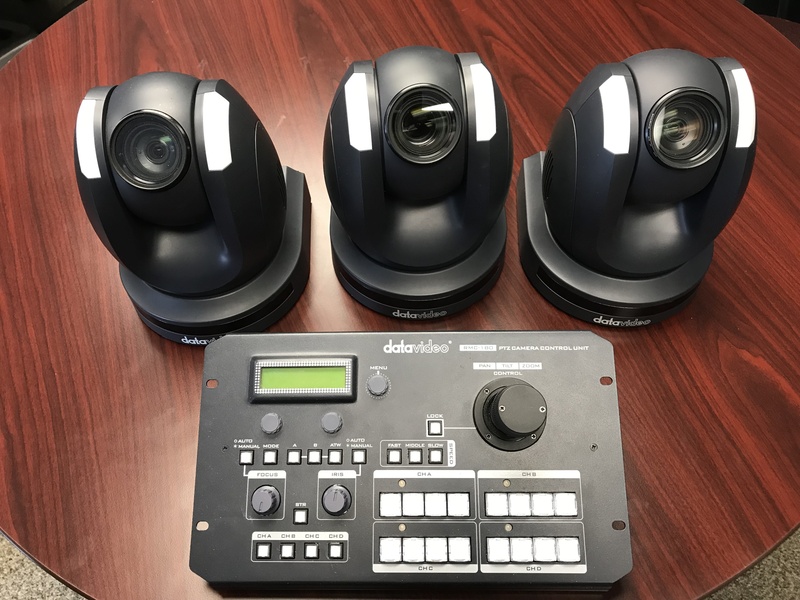 Note: SDI runs (or HDMI) from cameras to your video switcher (or rent a Roland SDI switcher from CTR). Cat6 ethernet runs from cameras to controller. Power required at camera locations.